Press Release – The Big Podcast, 30 hours to save the world. More than 30 reasons to listen to the podcast and smile… Below is the press release but you can download it here. What happens when you lock a couple of podcasters in a little box for 30 hours? You get a dire need for an air freshener and the longest podcast ever! Two University of Gloucestershire graduates are joining forces with their former student radio station to create a 30 hour podcast, all in the name of charity. Johnny Robinson and Zoe Fell are the hosts of the Prick Up Your Ears podcast on Audioboom and soundgorillas.co.uk. They will record for a whopping 30 hours non-stop at the studio of their former university radio station, Tone Radio. The team are raising money for charity Dig Deep who work in rural parts of Kenya to break the cycle of poverty through water and sanitation. The collected funds will go towards a team climbing Mount Kilimanjaro for the charity in August. Johnny and Zoe hope that the money raised through the podcast will put a decent dent into their £12,000 fundraising target. Johnny and Zoe are former students of the University of Gloucestershire and met on the Radio Production course in 2011. They started their comedy radio show in 2013, continuing it as a podcast after they graduated, with Johnny recording in his Gloucester house, and Zoe in her childhood bedroom in Plymouth. The pair were nominated for a Student Radio Award in 2014 for Best Student Radio Chart Show. The podcast ‘The Big Podcast’ will be released on the Sound Gorillas website www.soundgorillas.co.uk, posted to www.audioboom.com and available on iTunes hourly, with the full 30 hours being streamed live on www.toneradio.co.uk. The 30 hours will be packed full of studio guests, games, sketches, challenges for the team and just a lot of really silly stuff. They hope to break the world record for the world’s longest podcast. The team start the ‘The Big Podcast’ at 9am on Friday June 5th and set to finish on Saturday 6th at 3pm. Their daytime output will be family friendly, and the overnight output will be in a similar format to the ‘Prick Up Your Ears Podcast’. The team are looking for donations, sponsorship, support, or any prizes to give away during the live podcast. More information can be found out by emailing Johnny@soundgorillas.co.uk. 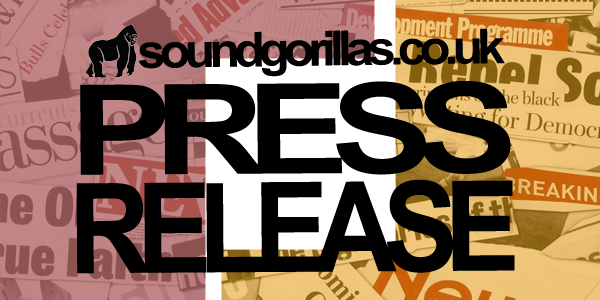 For further information, and filming and photo opportunities, please contact Johnny Robinson email: johnny@soundgorillas.co.ukor Tone Radio’s Head Of News Adam Stoner on me@adamstoner.com or tweet @stalkadam.